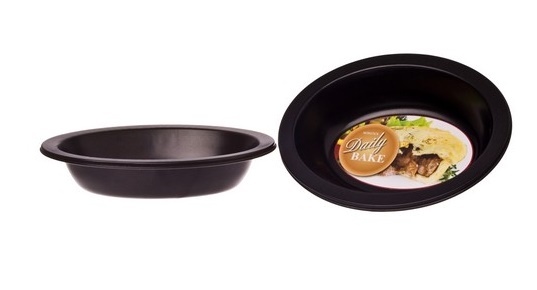 Daily Bake pie dish - oval. >Shop >BAKEWARE >Pie, Flan, Quiche and Tart Pans >Daily Bake pie dish - oval. Perfect for cold winter nights or weekend lunches, this top quality non-stick surfaced, single serve dish makes generously sized meat or fruit pies.